We have gathered an amazing lineup of talented creatives, activists and creative activists wanting to share their skills empower people working for a better world. Learn from the people who organise some of the most exciting and creative activist projects, with some crazy creatives thrown in. Our three day event will be presented in two quite different formats. The first two days will use a more traditional approach to sharing skills, while the last day will provide an experimental learning environment inspired by success of tech startup weekends and rapid collaborative events. If you are a creative looking to get involved in activism, or an activist that see’s the essential role in creativity in change, this is the event not to be missed. Skillshares/workshops/panels. Each session will run for 1.5 hours and be in workshop, lecture or experimental format. ActionSkills has ran a few of these collaborative events before including the PressJam event where we produced 4 websites for 4 charity NFP groups in one day. See the PressJam video here to get an idea of how these events run. These experimental events that provide a rich environment of learning by working directly on a project. By joining a multidisciplinary team, you learn from those you work with as well as experience the creation of a project. Enough talk already, lets get some stuff done. We will form two (or more) teams depending on with issue draws you. We currently have two projects and may add more. The aim is to have a workable proposal that will be deployed on the ground as well as the support marketing materials. So we want to work out any budget needs and recruit your networks to produce costumes, art, graphics, websites etc. If we have a strong idea and can communicate it, we believe the money will come. Crowdfunding can also be a strong part of a campaign raising awareness before the action even begins. We will have people participating who understand the logistics and safety of stopping machinery, interacting with the law, as well as the other complexities of this work. When Adani starts work, FLAC will stop them. Literally. So as a machine or train is stopped, what creative event can we think of?. How do we create theater, a spectacle, a fun event that will excite people and create memorial, iconic images for the campaign. Maybe we have a more creative approach than stopping machines? 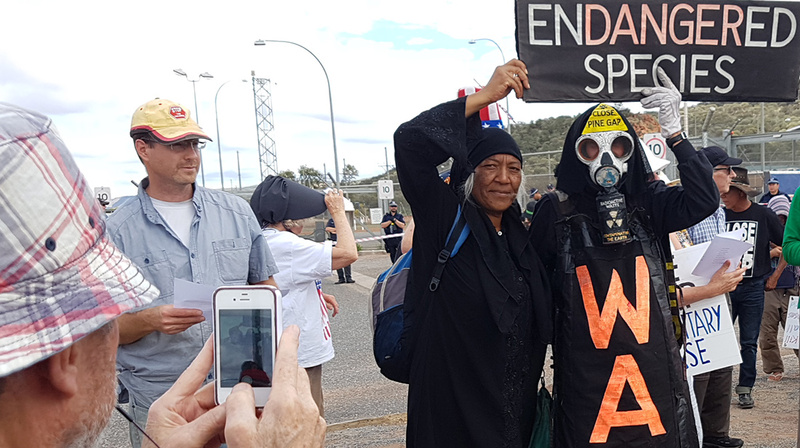 WACA has been doing great work raising awareness and resistance to our Governments inhumane treatment of refugees, including applying pressure on their contractors Wilsons Security with creative stunts and protests. The WACA team will brief your creative team on the stuff they have done and some of their thinking on who and what to target to end offshore detention. How do we create theater, a spectacle, a fun event that will excite people and create memorial, iconic images for the campaign. Maybe we can come up with a more creative approach than they have done before? Costs will be waived for people in financial hardship. We need to cover our (discounted) rent and catering costs. We will likely run at a loss. Any leftover funds will be donated to materials for the creative projects. Everyone is sharing to help build our social and environmental movements. Any leftover funds will be donated to materials for the creative projects.